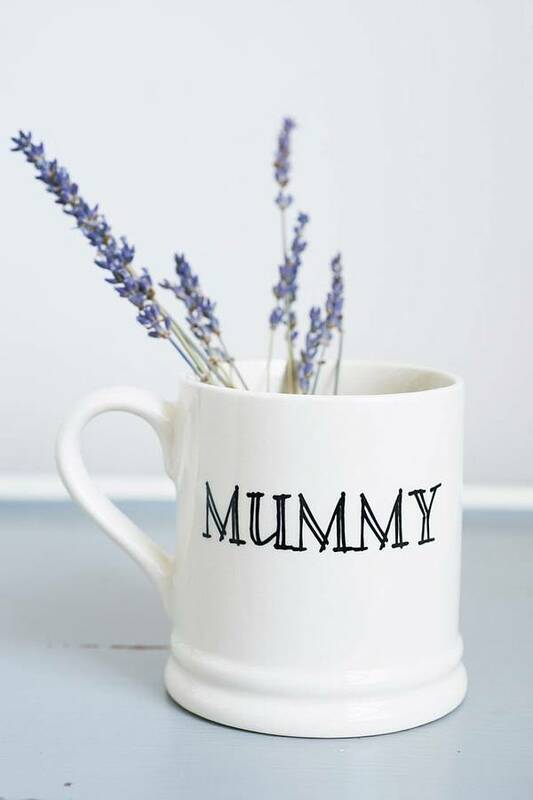 A gorgeous earthenware mug designed by us. 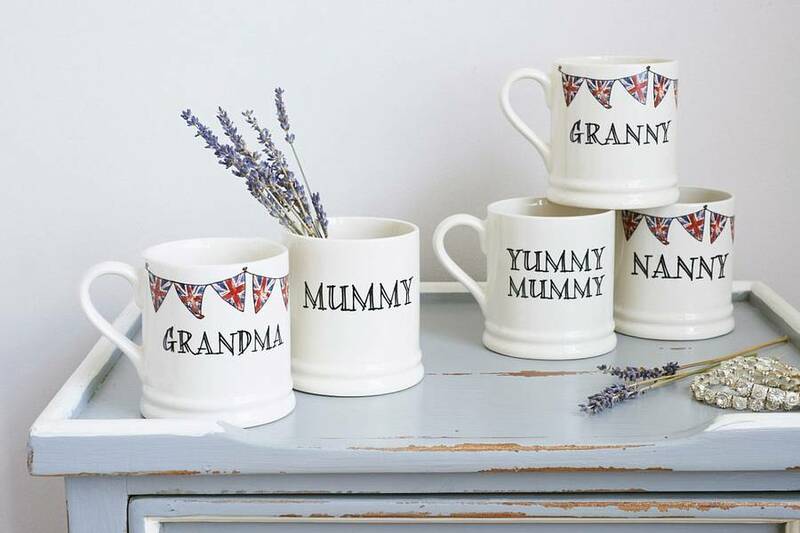 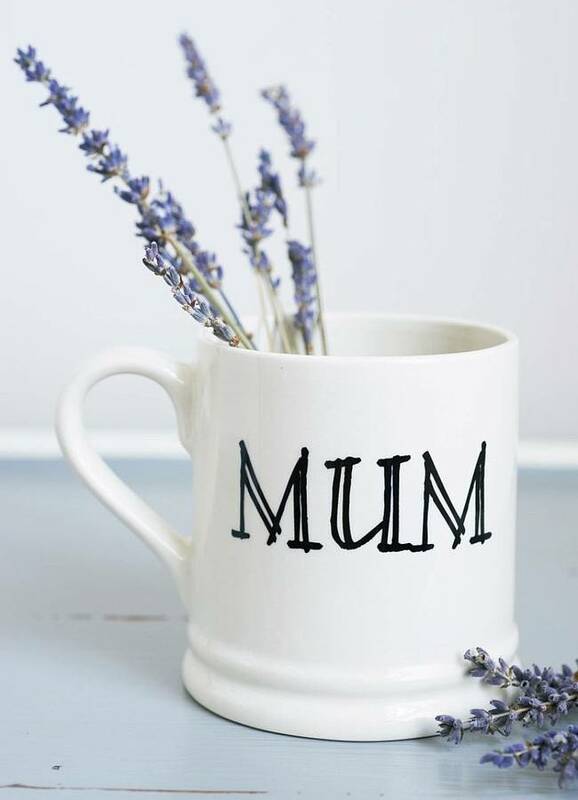 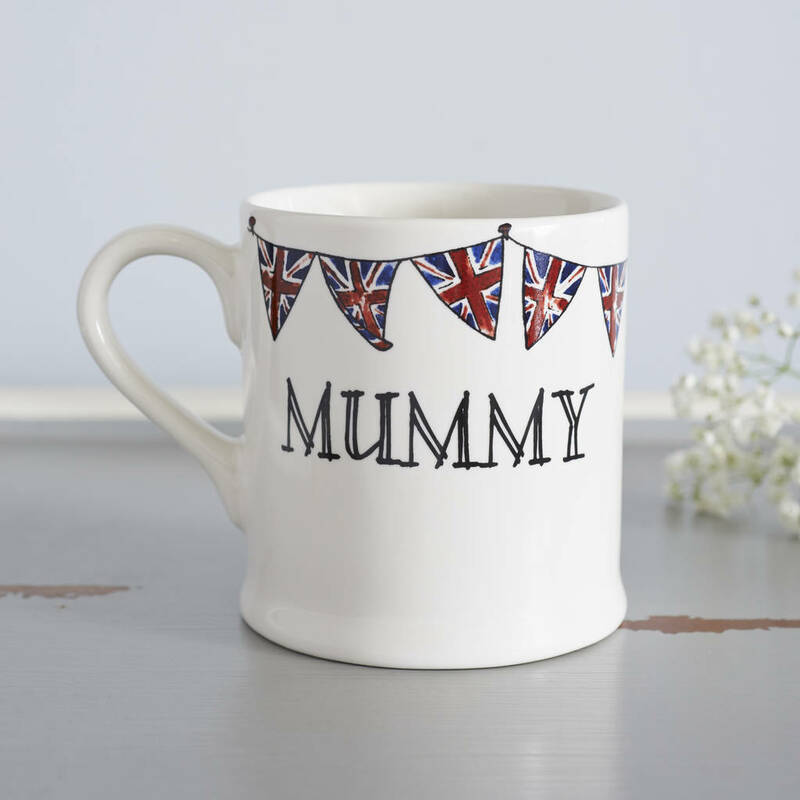 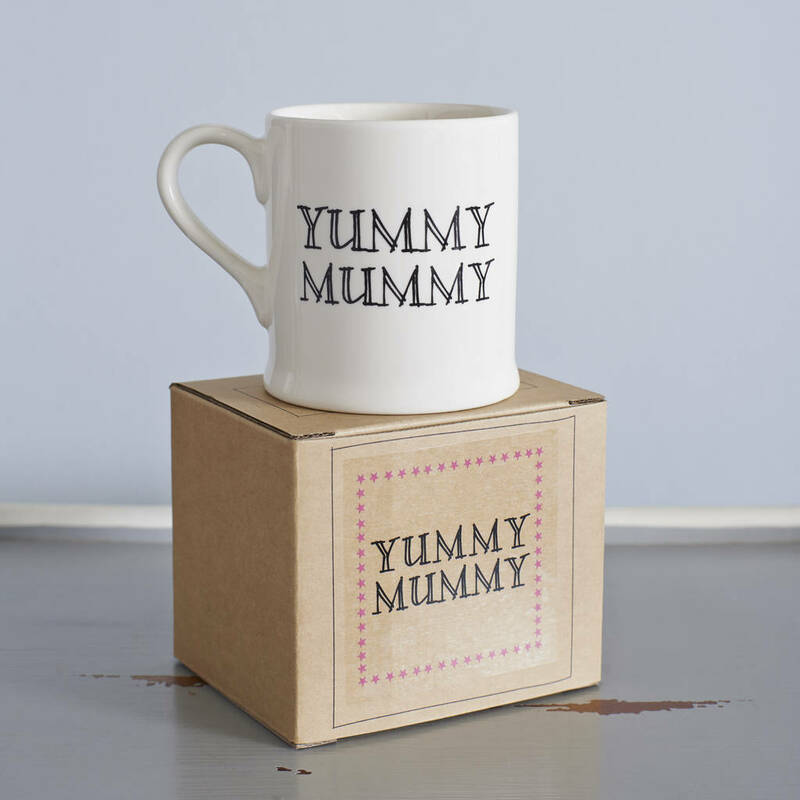 The perfect gift for a special mummy, mum or yummy mummy! 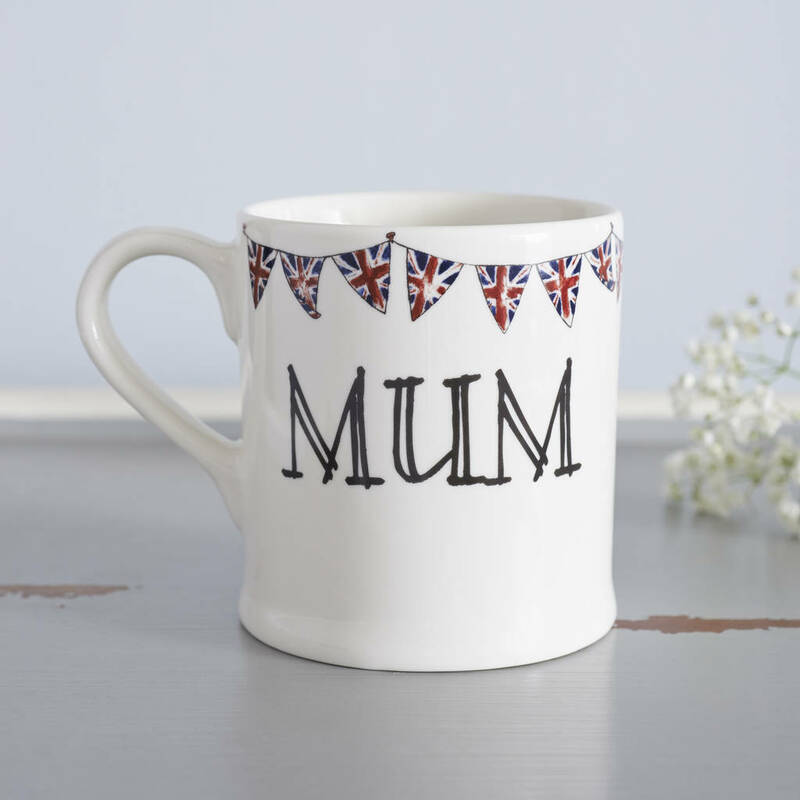 A generous sized mug for mum to enjoy her cuppa. 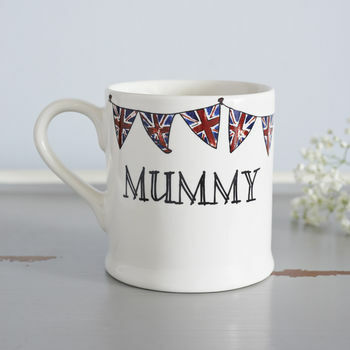 Availabe in 2 designs - plain or with our signature Union Jack bunting. 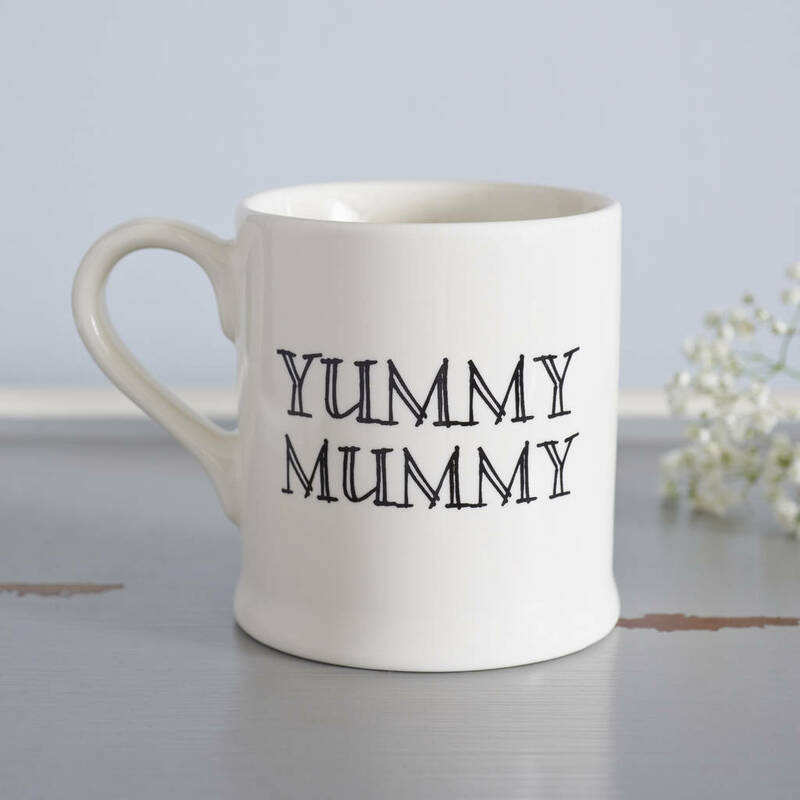 Choose from mum, mummy or even yummy mummy. 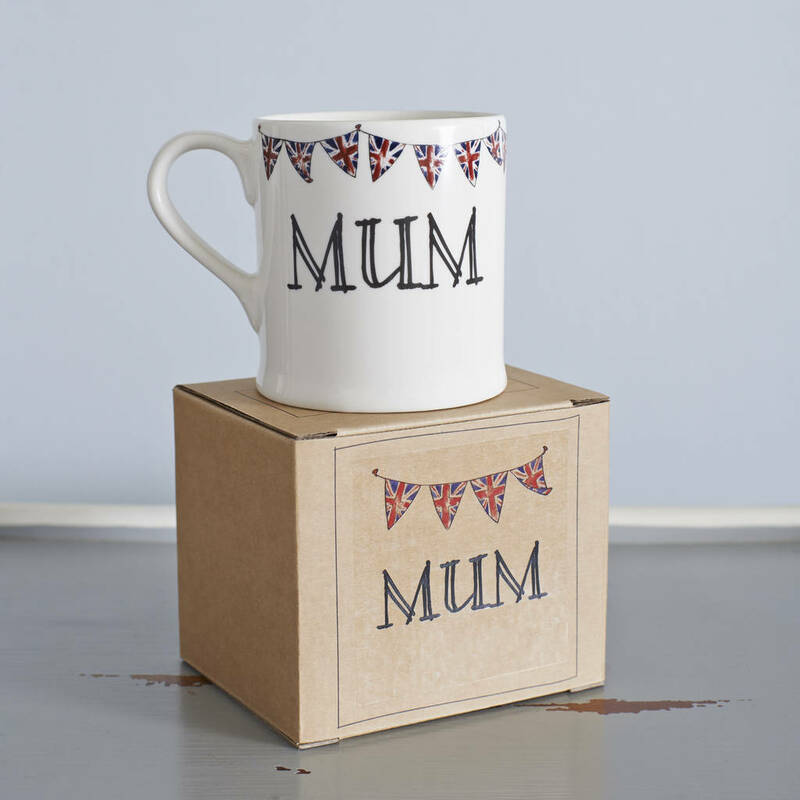 Width 8.5cm (exc handle), Height 9cm. 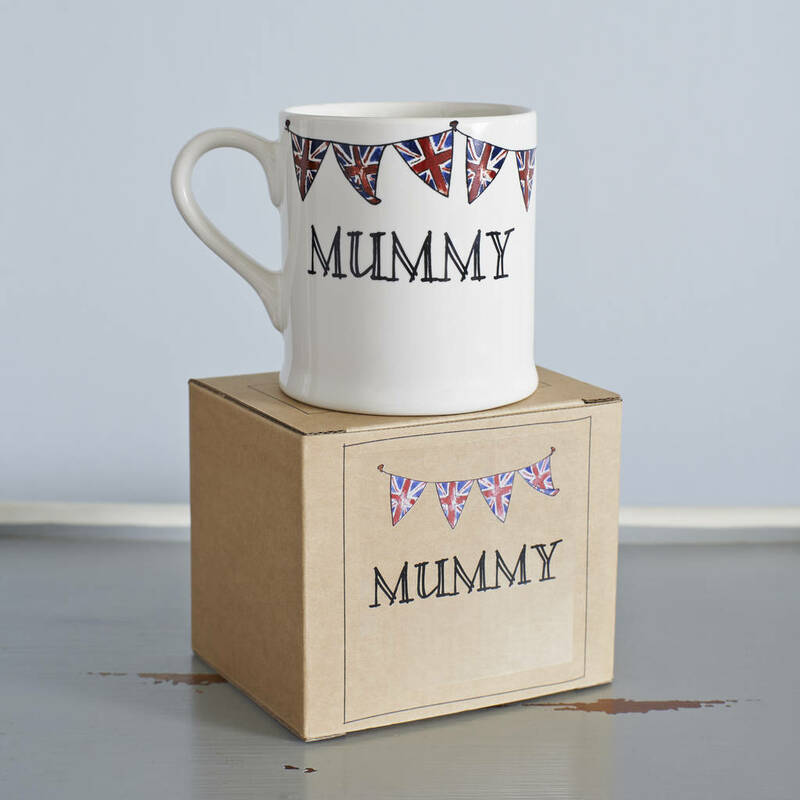 This product is dispatched to you by Sweet William Designs.